The fall of 2012 was the first time I ever made money from my own website on the internet. I made a script that scraped the official Seattle University bookstore website to collect a database about required books for each class. The script looked up each book on Amazon.com by ISBN, and if there was a match (which there was about half the time), I would store the price of the Amazon book and a link to it's page with my Amazon referral tag. 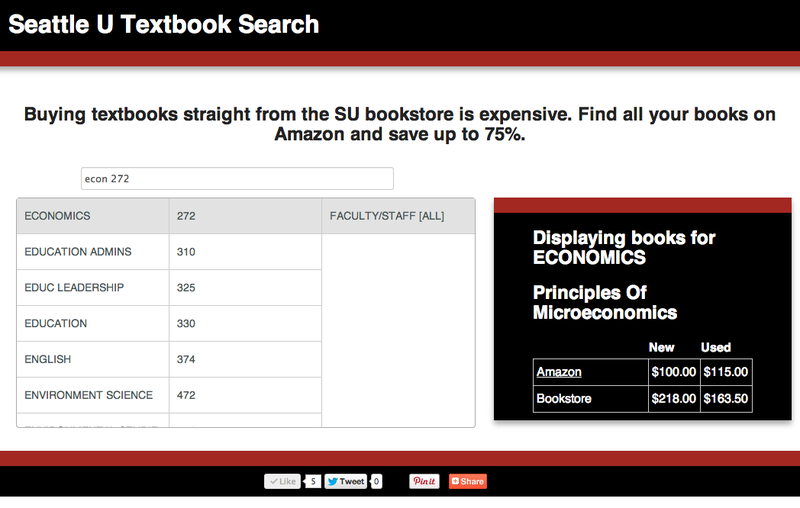 I then created a static website, hosted it on Amazon S3, and put it live at seattleubooks.com. The next step was spreading the word about the site. The only marketing I did was on Facebook. Simply posting a status and getting a few friends to do the same sent a bit of traffic. I shipped 100 items for a total of $1620.38, earning me $97.42 in total. I did have a few costs. Hosting the website was free, but I had to pay $10 for the domain from namecheap.com. I also printed flyers and placed them all around campus on move-in day. I printed about 50 high quality flyers for about $30. Ultimately, printing the flyers was a big waste of money. I printed them on September 22nd, and from then on I received very little traffic or revenue. After that quarter, I never again updated the database or spent any time marketing the site. 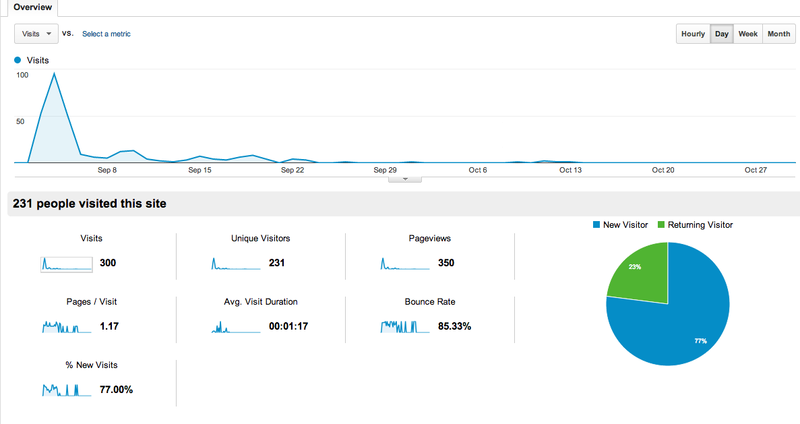 There has been about 40 visitors since then, presumably from organic search. These visits didn't result in any revenue. Overall, this was a great experience and it was really awesome to actually make money on my own, even if it was just a few dollars.